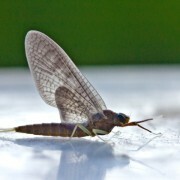 Gray drakes are a very important hatch in some area rivers. 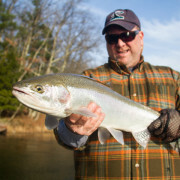 Most notably the Pere Marquette and Muskegon Rivers though they occur in most of our trout streams. 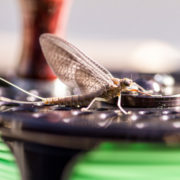 Starting as early as mid May these size 10 or 12 mayflies are the first really big bug to show up. Gray Drakes spin at dusk generally in large numbers over riffles. 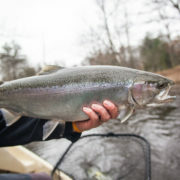 Gray Drakes are very easy to identify, the have a thin body and a very visable white stripe around the head. 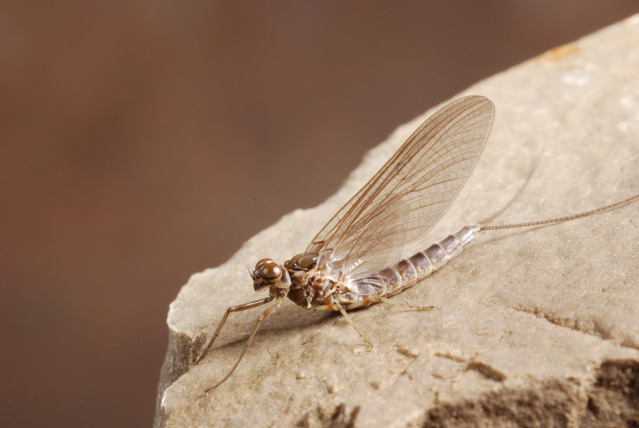 crawl out to emerge so typically the dun stage is not imitated with artificial flies. 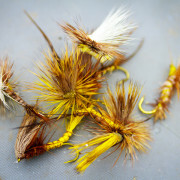 Male and female spinners will gather at dark over waters with a riffly current. The eggs that the female lays will remain ‘dormant’ on the stream bottom until the following February-March when the nymphs will hatch and rapidly grow, completing their full development in just a few months”. 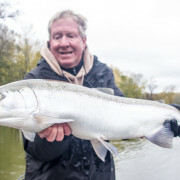 I use primarily Ed McCoys Real McCoy Gray Drake Spinner (video below). It’s a great imitation of the natural. 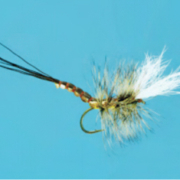 If you are going to tie your own flies make sure to keep the body slight, this is not a very meaty bug. An Adams will also work in size 12 or 10! Watch for Gray Drake shucks on blades of grass in the river. When you see large numbers of these you can expect Gray Drake spinners at dusk. Position yourself near broken, oxygenated water late in the day. Near dusk you should see large numbers of spinners in the air mating. 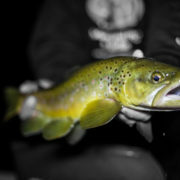 Once mating is complete the spinners will fall to the water and good fish should rise to eat them. 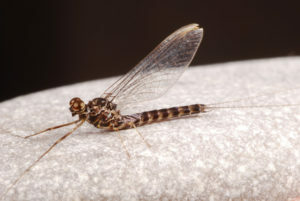 Gray Drakes occur in the Pere Marquette and all of our trout streams. 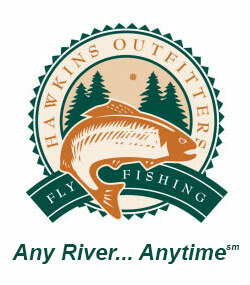 If you can find areas where they reside you can have some great fishing in Mid May. They are spinning now! Get out and enjoy the fun.